Since the world is changing very rapidly, water management practices and processes beyond 2020 must change as well. Past forecasts and recent trends may no longer shed any meaningful light on the coming new, turbulent environment of the water sector, which will have to accommodate diversified, even opposing requirements reflecting different needs and interests of various stakeholders, political processes and institutional requirements. The situation will be further complicated by rapid technological changes, accelerated globalization, and relentless economic competition and turmoil. 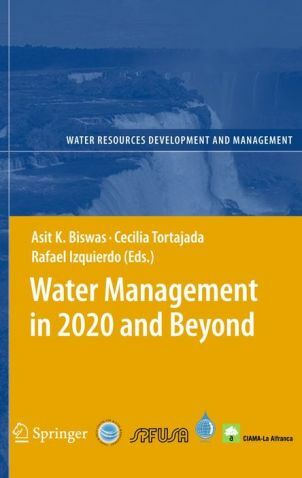 In this unique future-oriented book, leading international authorities discuss opportunities and challenges that the water profession may expect in the future. Many of the driving forces will still be traditional, like population and urbanization, but their implications will be very different to what have been witnessed earlier. There will be new challenges due to nontraditional drivers like globalization, free trade, HIV/AIDS, climate change, rapid technological developments and increasing intersectoral interrelationships between water, food, energy, and environmental securities. All these developments will make efficient and equitable water management more complex than even before. In collaboration with the International Water and Environment Centre (CIAMA-La Afranca), the Water Institute of Aragon, the Third World Centre for Water Management in Mexico, the International Water Resources Association and the Sasakawa Peace Foundation both in the USA, 30 renowned international experts were congregated in Zaragoza, Spain to discuss water-related issues with a forward-looking outlook. This book is based on the papers specifically prepared for this workshop. We would like to especially thank Mr. Fernando Otal, Aragon’s Water Institute Secretary General, whose support made the Zaragoza Workshop a reality.